In fact I’m not at all clear how my family got to America. I think three generations above me had people illegally sneaking into the US from both Canada and I think parts south. But my family doesn’t quite know. But as sure as the ocean is salty, my kind was not much liked – we were dirty, religious zealot, wops from Southern Italy. One grandfather worked as a coat cutter, he died of cancer before I was born. Another grandfather was a stonecutter. He died of cancer before I was born. 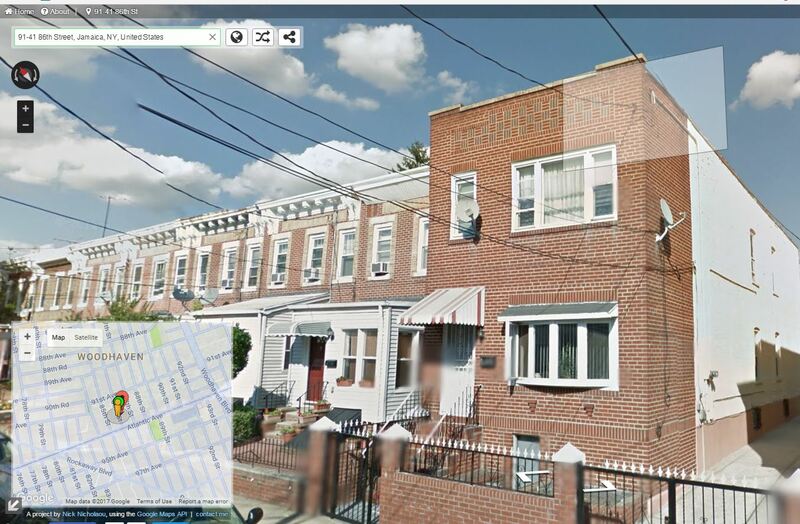 My family of 8 (you see, those disgusting immigrants just don’t know how to stop making babies) lived entirely on the second floor apartment of the brick house you see here on the right. There was one bathroom. My sister lived in a converted closet. My brothers crashed together, I think the first time I ever had my own room was as a Junior at Amherst College. When we came into the neighborhood now 100 years ago, “there goes the neighborhood” was front and center. Ironically of course, such cries remained and were common when I was a kid, up until my family finally left at the turn of the millenium. The nice folks who purchased the building we grew up in seemed to have made it look a lot nicer than when we lived there, cleaning up the facade, adding a fence, redoing the side walls, installing satellites and fixing the entrance. They were a family of bakers from Guyana if I recall (I was already off to college when the building was sold). It’s no wonder my kind was hated. We were fervent adherents to a religion, educated in our own schools too (I’ve of course since fallen), and there were some scary types of folks who shared some things in common with us. Thank god it was not “liberty for me but not for thee” when my forefathers risked everything to come here. Though, I must say, given how many people dislike me … OK, here’s my old place. So how many of your grandparent’s co-religionists were suicide bombers and mass shooters? It’s not difficult to imagine a better U.S. today if members of the Mafia or Black Hand had been vetted during the open border immigrations around 1900! It’s also not difficult to imagine that by vetting for mobsters many, many good people would have been prevented from coming, and hence a worse US today if members had been vetted during open immigration. I like to think about domestic migration patterns a bit – is there a movement, outside of maybe places like Portland, to restrict movement of US citizens from state to state? Don’t give them any ideas, W.C.